This article which is of particular relevance to the arrest of Julian Assange was originally written in June 2018. Over this past year, I’ve met with Assange several times at the embassy in London, and have been privy to his conditions and medical record. Assange suffers both physically and psychologically from his prolonged detention—as was found in another evaluation performed in 2015, the results of which were made available to the public. Assange’s detention continues to cause a precipitous deterioration in his overall condition and amounts to cruel, inhuman, and degrading treatment. 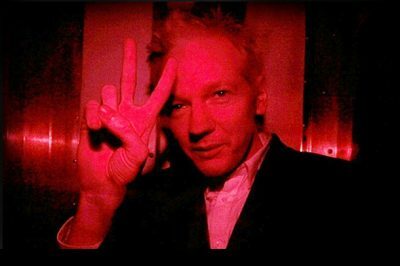 Within the embassy, Assange is confined mostly to a single room and has had no meaningful access to the outdoors or to natural light in six years. As a result, he has developed myriad health sequelae and endured exacerbations of preexisting conditions. Because of his health issues, in 2015, Ecuadorean authorities requested that he be permitted humanitarian safe passage to a hospital in London; however, this was denied by the UK. Although physicians are able to visit Assange for evaluations, many are reluctant to do so given their concerns about appearing to associate with Assange by caring for him as a patient. To this day, Assange remains unable to access hospital based diagnostic testing and treatment—even for a medical emergency. In effect, he has gone without proper access to care for the duration of his six years in confinement. Meanwhile, data on the health effects of solitary confinement suggest that the restrictions on Assange since March increase his risks of post-traumatic stress disorder, depression, and suicide. As physicians, we have a collective responsibility to advocate for the basic human rights of all people, including that of the right to access care, even when we or society in general may disagree with an individual or group politically. In the case of Assange, at a minimum, Ecuador should respect his rights to visitation, unencumbered communication, and free speech. In addition, the UK must uphold its commitment to the UN Standard Minimum Rules for the Treatment of Prisoners. This includes permitting his safe passage to a hospital, unimpeded access to care, and at least one hour outdoors in the open air per day. If Ecuador and the UK cannot guarantee these rights, then the Australian High Commission should seek Assange’s immediate repatriation to Australia. As the US withdraws from the UN Human Rights Council, Australia has the opportunity to demonstrate moral leadership at a time when our global community needs it.